Hair is our crowning glory and just because it is long, graceful and (you are lazy) does not mean you have to work out complicated hairstyles every day! Let’s take a look at some of the super chic yet easy hairstyles for your long and beautiful tresses, which are effortlessly exquisite and can be done in under 10 minutes! This off duty model look is very chic and simply stylish. Spray some dry shampoo and pull your hair into a high pony. 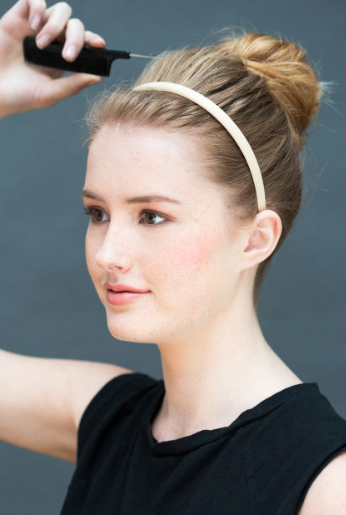 Pin up any loose hair with a bobby pin or secure any flyways with a headband. 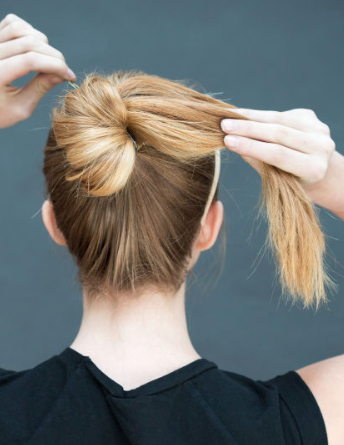 Twist the length of your pony and tie it into a bun. Use bobby pins or a rubber/elastic band to secure the bun. Use the tail of your comb or your fingers to lift the section of hair between the bun and your headband for added volume. Use a strong long lasting hairspray for a firm hold. 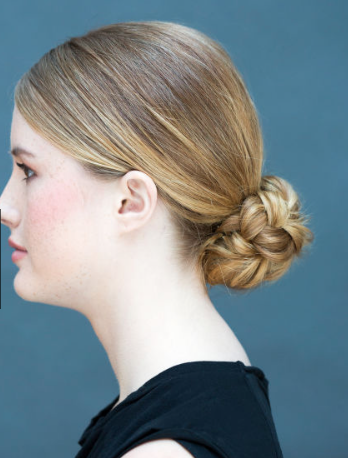 This bun looks very elegant and can be worn with nearly any ensemble. Gather and pull your hair into a low ponytail and tie it with a band. 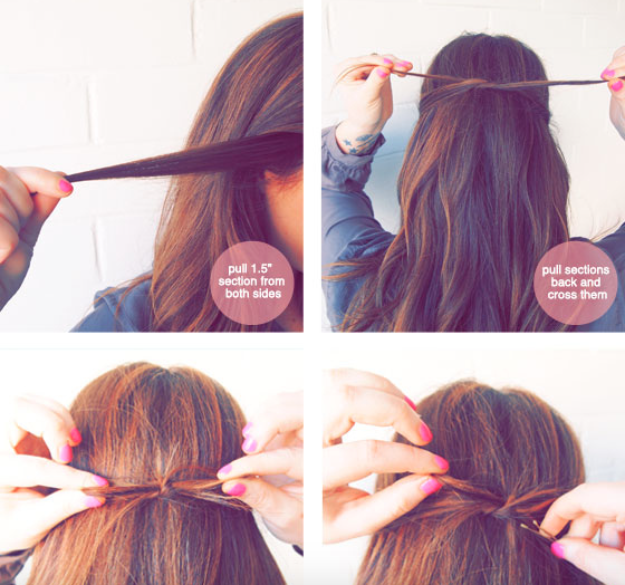 Braid your hair and secure it with a hairband. 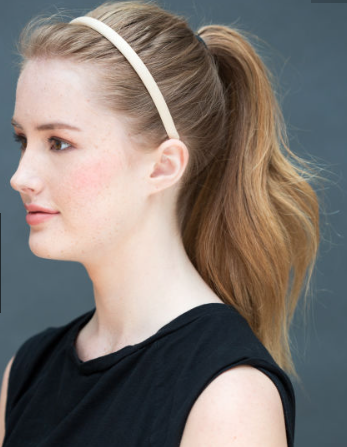 Wrap the length of your hair around the ponytail and secure with an elastic hairband or bobby pins. Keep you hair in place with a soft hold hairspray. This is a very easy technique that gives an illusion of longer hair with added volume. 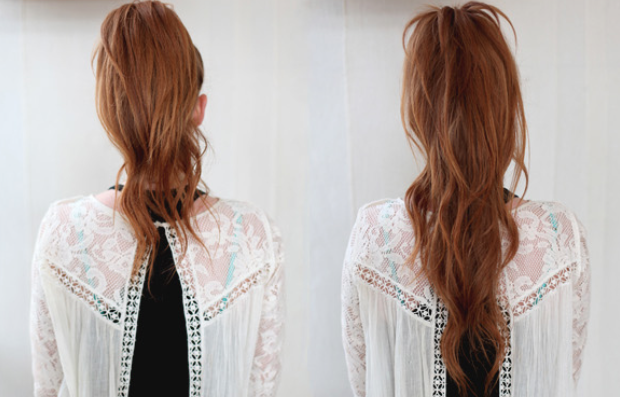 Gather and pull half of the hair above your ears and tie it into a high ponytail. Gather and pull the remaining hair into a pony just beneath the first one. You can curl your hair if you want loosely curled tresses. Secure flyways with bobby pins. This quick and easy hack is a great way to style your hair if you want temporary bangs. 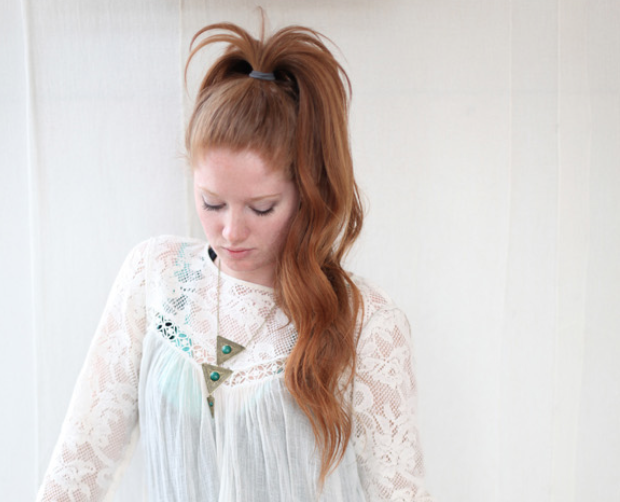 Gather and pull your hair into a high ponytail. Bring the loose ends or edges of your hair in front of your forehead. 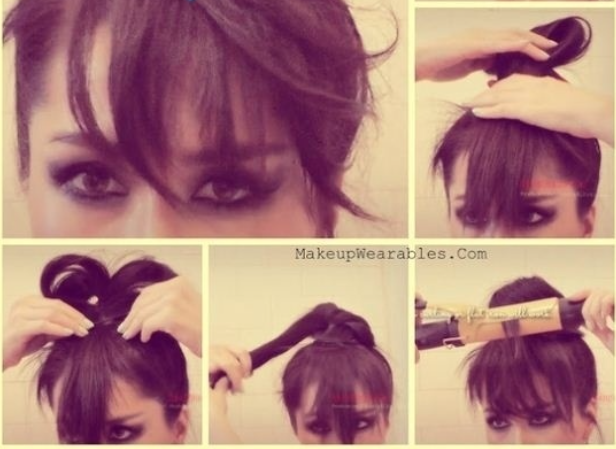 Use bobby pins to clip your hair in the middle of your head. 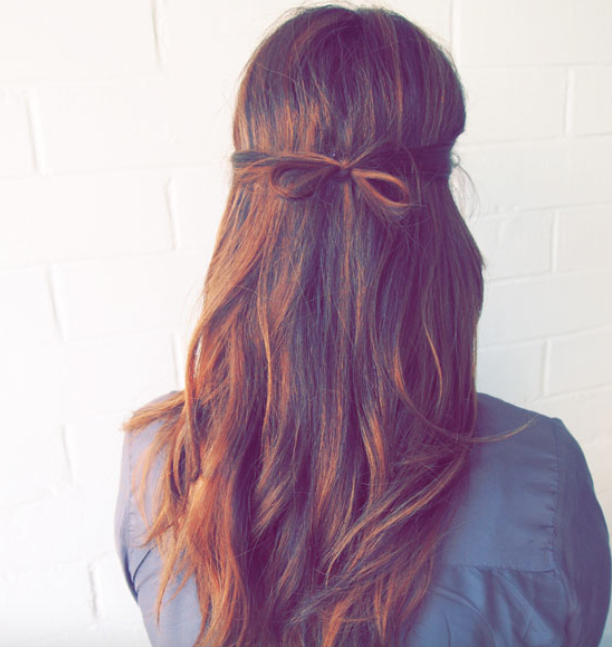 Make a small bun and secure it with an elastic band. It literally takes 2 minutes! Use a serum and some hairspray and brush your hair properly. Let your hair fall back naturally. Take one tiny section of hair from each side of your head above your ears. 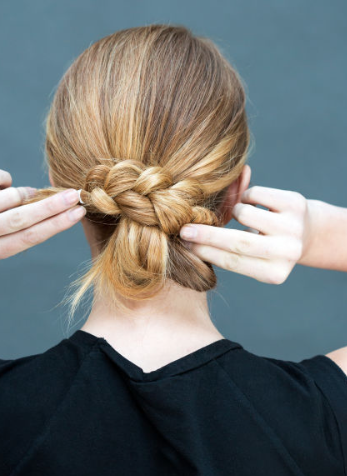 Pull it behind your head and tie it as you would tie your shoelaces and secure with bobby pins. All it takes is just three steps! Brush your hair properly and let it fall naturally. 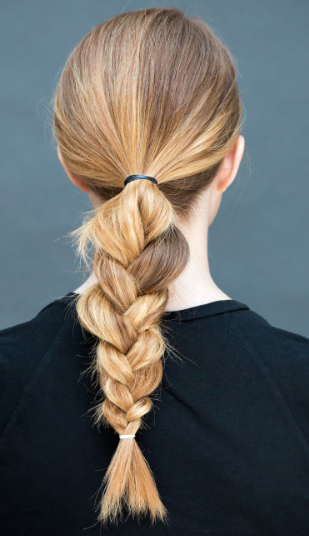 Take two sections of hair from each side of your head to make two tiny braids. Pull it behind your head and tie it up. Secure with bobby pins.